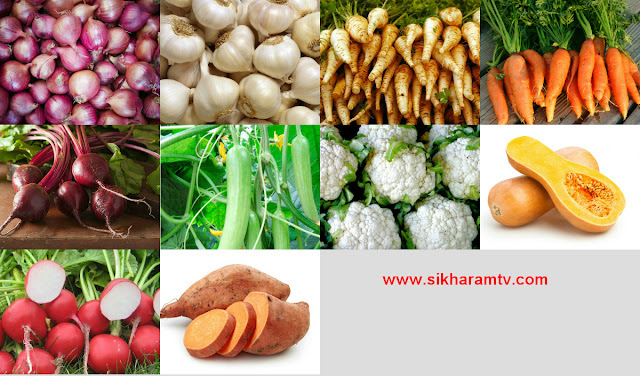 People living in South Asia and South America have been eating root vegetables for thousands of years. Indeed, records have shown that particular root vegetables such as sweet potatoes have actually been consumed for well over five thousand years! And not just because they taste great. Sweet potato has in actual fact been eaten for thousands of years thanks to its health benefits as much as anything else.And while the ancients knew the medicinal value of these root veggies, it’s taken the rest of us a lot longer to catch up, but science these days the good old ancients up; nutrients such as vitamin A and C, magnesium, potassium fibre are all found in root vegetables, and they all help to preserve the health of our bodies, while reducing the risk of a whole host of debilitating conditions, such as cancer, diabetes and heart disease. The benefits of introducing more root vegetables into your diet are huge. In case you don’t know which ones to start with, here are 10 root veggies that will boost your health. You either love onions or hate them; it’s very rare that a person would say they “don’t mind” onions.It’s a shame that these root vegetables are so divisive, though, because their health benefits are fab. When you cook with them, try to keep as much of the outer layer in tact as possible because it’s stuffed with valuable antibacterial properties that can improve your health.Benefits of onions include stronger bones, reduced symptoms of inflammation, as well as a reduced risk of certain cancers. Garlic is rather unfortunately nicknamed the “stinking rose” but anyone who recognises the medicinal properties of garlic won’t mind that too much. Sure, it has a funny pong, but dieticians agree that garlic should be consumed every single day because it’s just that good for you.Garlic can boost the health of your heart, prevent certain cancers, improve your metabolism, as well as fight stress. You can easily toss it into pretty much any meal you’re making, and it takes just a few minutes to cook.Oh, and it tastes delicious. Although they have a different complexion, parsnips actually come from the same family as carrots. This means they have a lot of similar health benefits, too. As well as the aforementioned health benefits of carrots, parsnips also promote heart health thanks to their high levels of potassium which lowers stress on your heart, and also lowers blood pressure.Parsnips are also useful if you’re trying to lose some weight. Low in calories, they are rich in fibre which helps you to stay full for longer after eating.Parsnips also support your immune system, and can reduce risks of birth defects. You can eat parsnips at any time of the day: you can turn them into hash browns at breakfast, eat them as part of a soup at lunch, or roast a few and place them at the side of your dinner. Carrots were pretty much the only vegetable I would eat when I was young. My mom tried stuffing my plate with all kinds of greens, but carrot was the only veg that actually tasted okay.These days, I still can’t get enough of carrots. They’re indeed one of the world’s most popular root vegetables – and for a good reason. Rich in vitamin A, C, D, E and K, carrots can improve your vision, help to prevent cancer, slow down the ageing process, and they can also promote healthier skin.Carrots can be eaten raw or cooked, or you can juice them if you don’t fancy eating the whole thing. Beetroots are extravagantly coloured. You simply can’t miss them in the supermarket, and they’re practically screaming out for you to pick them.But how many times do you just walk on by? Well, walk on by no more! Beetroots comes with fantastic health benefits, and are widely used by athletes to help them improve performance. This is because beetroots contain a huge amount of nutrients. They boost cognitive functioning, engineer stronger bones, and also have a positive effect on your immune system.If you’ve never enjoyed eating whole beetroots, beet juice is now a really popular thing. Try it! Cucumber is pretty much 95% water – which is no bad thing, because we could all do with a bit more water. As such, cucumber helps you to stay hydrated.This lean green vegetable also boosts heart health, protects your brain from disease, as well as looks after your skin. Cauliflower lives in the shadow of broccoli, its cruciferous cousin. But cauliflower is worth adding to your diet because, not only does it taste great and make for a fantastic winter broth, but it also helps to fight cancer, reduce inflammation, strengthen your heart and brain, and provide detox support. Butternut squash should become your new favourite root vegetable if you’ve never tried it before. It tastes absolutely divine, and it is also a super healthy veggie.Butternut squash has a darkish hue, but don’t let that put you off; in fact, the darker the hue, the more healthier a vegetable it is. Why? Because beta-carotene, a red-orange pigment that also gives carrots their colour, is amazing for your body. It promotes better communication between your cells and helps them to keep cancer at bay.Butternut squash should be roasted primarily, but you can also bake it, too. The Greek’s knew a thing or two about radishes, although using them to prevent intoxication from alcohol probably didn’t always work out that well. Especially when you consider the Greek’s propensity for overdoing things with the wine! Still, radishes are rich in vitamin C and can reduce bad cholesterol, remedy nasty urinary tract ailments, as well as keep oxygen nicely flowing through your body.Stay happy and healthy. Sweet potato is the sweetest potato in all the land, and it’s also pretty much the sweetest root vegetable, too. Very similar to a yam, sweet potato stands out from the white potato thanks to its bright orange complexion.Yet despite its eye-catching looks, many of us continue to ignore this delightful root veggie.Sweet potato is rich in all kinds of valuable nutrients, such as vitamin C, vitamin B5, potassium and fibre. They have a low glycemic index (lower than white potatoes, in fact), and are useful for stabilising blood sugar levels. They support a healthy immune system, and because they contain magnesium, they can also reduce stress levels.